Special Forces soldiers are daring, seasoned troops from America's heartland, selected in a tough competition and trained in an extraordinary range of skills. They know foreign languages and cultures and unconventional warfare better than any US fighters, and while they prefer to stay out of the limelight, veteran war correspondent Linda Robinson gained access to their closed world. She traveled with them on the frontlines, interviewed them at length on their home bases, and studied their doctrine, methods, and history. 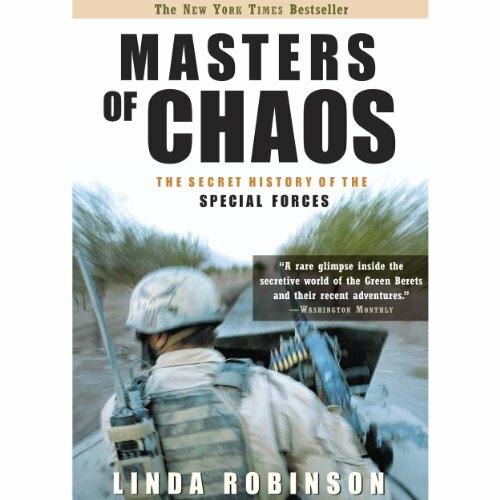 In Masters of Chaos she tells their story through a select group of senior sergeants and field-grade officers, a band of unforgettable characters like Rawhide, Killer, Michael T, and Alan - led by the unflappable Lt. Col. Chris Conner and Col. Charlie Cleveland, a brilliant but self-effacing West Pointer who led the largest unconventional war campaign since Vietnam in northern Iraq. Robinson follows the Special Forces from their first post-Vietnam combat in Panama, El Salvador, Desert Storm, Somalia, and the Balkans to their recent trials and triumphs in Afghanistan and Iraq. She witnessed their secret sleuthing and unsung successes in southern Iraq and recounts here for the first time the dramatic firefights of the western desert. Her blow-by-blow story of the attack on Ansar al-Islam's international terrorist training camp has never been told before. Linda Robinson provides insights into some of histories most intense battles. it was freaking awesome. This was a very detailed comprehensive history of the modern special forces. It's a great read and I recommend it to anyone. 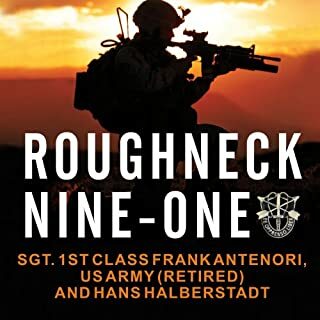 This book gives a great overall view of Special Forces from Panama to Iraq, but it lacks intimate details. The performance was superb, but the content was surprisingly dry for a book, even a history book, about Special Forces. awesome story... it was really easy to get lost in the story and lives of each operator and there mission. only draw back was the narrator, no emotion as she read thru the story and stayed so monotone that it was easy to lose the scope of what was going on during the story and never had any real connection to the book because of that. if i had it to do over again i would try and find a different reading of the book. this is a very in-depth look at Special Forces. an excellent read or very long distance depending on the format. will work for anybody interested in the intricacies of Special Forces. 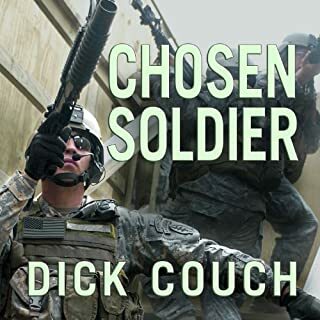 the book covers a lot of history of special forces as well as political influences on the uses of special forces in the past and into the future. 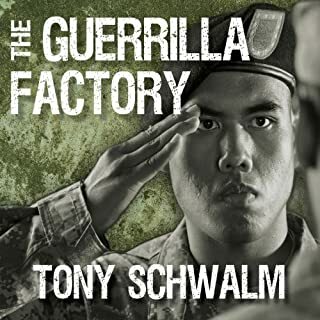 I'm a huge history fan, especially military history, and I absolutely loved this book. I teach history and believe there is a lot to learn from this, and you'll have a great time doing it. Really Excellent . . . very well done! 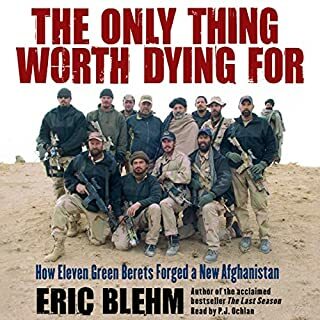 Well written, factually accurate story which details the Special Forces soldiers and their missions since their inception. 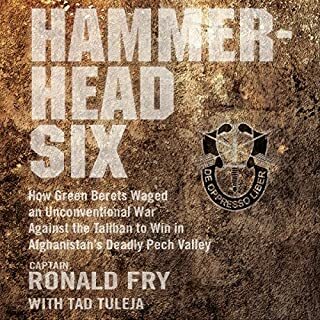 The author tells a very entertaining recount of the dramatic stories of the brave men and their missions over the past 5 decades while maintaining the perfect mix of subjective advocacy and rational objective assesmemt. The narrator brings it all together with a solid performance. The book was very well researched and clearly written. 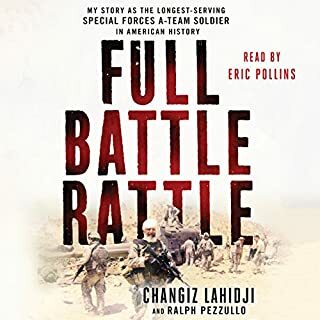 It really is the best account of special forces post Vietnam that I have read or listened to so far. To be totally honest I wasn't sure about the reader at first but after a short time her voice grew on me.